SOCIAL MEDIA is a phenomenon that is difficult to miss. With membership of social networks topping one billion people, the web is increasingly a social place.1 The initial forays into this field by organisations typically focused on marketing initiatives. Whilst marketing on and via social media is undoubtedly a worthwhile endeavour, I believe that social can do a whole lot more. It has the potential to change how organisations go about their work. It can change how employees interact with one another and how knowledge is sought. In many instances it is even changing entire business models as new entrants flood traditional markets with social at their core. For the purposes of this report, the social changes have been categorised into three areas: Collaboration and innovation; Crowdsourcing and crowdfunding; and Peer to peer. Enterprise collaboration has arguably been what many understand social business to mean. In 2012 McKinsey went as far as to suggest that there is up to $1.3 trillion in un-tapped value across the four sectors it analysed just through better enterprise collaboration alone.2 Figures such as this have no doubt contributed to significant investment into social business technology, with some $5 billion spent each year on social business software and technologies.3 The considerable potential benefits coupled with the substantial investment in tools to enable social business have raised expectations significantly. Despite this however, Gartner revealed that 80 per cent of social business projects fail to deliver the results expected of them.4 It is, of course, a crude measure, but that potentially means $4 billion of that initial investment is being wasted, not to mention the significant amount of hours that have gone into building and installing tools, training staff on its usage, and the many other things that have gone into trying to make an organisation more collaborative. Whilst it is quite probable that many of the claims made, often by the vendors selling collaboration software, were somewhat exaggerated, there is inevitably a sense that attempts to become social businesses have not been tackled effectively. There are numerous ways that attempts to improve collaboration can go wrong, including: 1. Not understanding the financial and political costs of collaboration; 2. Trying to encourage collaboration in a competitive environment; 3. Not having a clear goal for collaboration; and 4. Over hyping the potential benefits. To overcome these issues, organisations need to do three things well:1. Understand when to collaborate; 2. Understand what is stopping collaboration from happening; and 3. Build an environment that supports collaboration. This last point is so important that it will be returned to later. Looking externally for knowledge and finance Before we get there however, there are other applications of social tools and philosophies at play in modern organisations. Whilst most collaboration efforts have attempted to improve how knowledge flows inside the organisation, the crowdsourcing market has also seen many organisations look for ideas and solutions from external parties. The notion of smart crowds was first brought to wider attention by James Surowiecki's Wisdom of Crowds book in 2004.5 It outlined the various conditions under which a crowd of people can prove smarter than even the brightest experts. The intervening decade has seen the application of crowdsourcing insights and ideas reach across multiple industries. Central to the benefit of crowdsourcing is the diversity of participants that attempt to solve the problems posted. A Harvard University study found a direct link between the diversity of interests within the solver community, and the likelihood that the problem would get solved.6 The diversity of the crowd has also seen a rapidly expanding application in the provision of finance to initiatives around the world. What began in 1976 with a small loan to a research project in Bangladesh has grown to a global phenomenon that has required SEC regulation in order to ensure it is delivered properly. In 2013 the innovation charity NESTA produced a directory of crowdfunding sites, with over 30 listed for the UK alone, contributing to the 300 or so platforms operating around the world. Crowdfunding initially targeted commercial and creative ventures, but has increasingly spread its wings to encompass a range of social and civic projects. The peer to peer economy The final substantial trend in social business is the rise of the peer to peer economy. This has seen a number of industries shaken up by companies and platforms allowing individuals to rent out their belongings to one another. With an estimated value of $26 billion spread across over 200 platforms, the peer to peer economy is a rapidly expanding one.7 The peer to peer economy has spawned due to a perfect storm of societal, financial, and technological factors that make people willing and able to rent out belongings. Whilst the sector faces a number of challenges, not least of which are some of the legal issues arising around it, the industry does appear to have made an indelible mark on how business operates. 2013 saw a number of established players buy or partner with emerging peer to peer platforms in what seems like the inevitable first stages of consolidation in the sector. Those are the three principal trends emerging in the social business world. As most peer to peer companies have been start-ups and therefore in a position to build a social culture from the very outset, many organisations are trying to bring collaboration and innovation into cultures that have traditionally been anything but.The behaviours in a social business There have been various models published that aim to chart the progress organisations make on their journey towards social business. 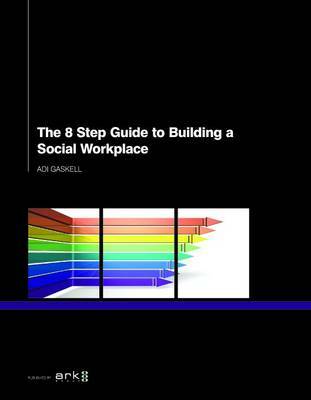 The best of these focus primarily on the kind of behaviours that are exhibited by employees in a social business, and it is on those behaviours that organisations should focus on in their bid to become more social. As the latest Booz & Company report on change management firmly stated, culture is the crucial element towards effective change.8 For change to happen successfully, you need to: Clearly define the behaviours you wish to see; and Create a work environment that supports those behaviours. The creation of this collaborative environment utilises eight distinct levers of change: Organisation - Whilst it is not the case that wholesale business model changes as we have seen in the peer to peer economy are required in order to become a social business, there are nonetheless organisational issues that can contribute towards social and collaborative behaviours. This can include understanding how your organisation accepts and generates ideas, how those ideas are then turned into innovations, or the relationship between internal and external stakeholders. The way your organisation is structured can play a big part in influencing how your employees, and indeed other stakeholders, behave. Think about how your organisation is currently structured, whether it is by geography, product line, or department; Workplace design - Whilst there has been considerable research into workplace design over the last few decades, it is perhaps fair to say that few of these innovations have helped foster collaboration. Considerable research has gone into proving the detrimental aspects of open plan offices for both productivity and collaboration. Thankfully, there have been advances made in understanding how our work environment influences our behaviour, and it is therefore possible to create an environment that is supportive of collaboration; Task - How we do things at work has been a focus of managers and thinkers since the 1700s when Adam Smith first began analysing the topic. Taylorism, and subsequently process improvement, took this to another level. Whilst this improved productivity, it didn't really improve collaboration. To encourage collaborative behaviours, understanding the impact your existing processes have is crucial. You can then begin to reshape these processes to better support collaboration; People - People are prime suspects when it comes to any kind of change in an organisation. Ensuring you recruit people with collaborative behaviours, giving them a suitable environment to support any ideas they come up with, and managing talent in general can all go a long way to supporting the creation of a social business; Reward - There has been significant research into the various mechanisms to reward employees in their work. Most of these focus on productivity in isolation, but there are however various reward mechanisms that can help to foster collaborative behaviours, which when coupled with tools such as gamification can contribute to positive and social behaviours; Measurement - Measuring the ROI of social business has historically been a tough endeavour. Whilst it is difficult, it is far from impossible, and several mechanisms exist for measuring both collaboration and innovation. What you choose to measure in your organisation has a substantial impact upon the behaviours of your employees however, so it is important that time is taken to get this process right; Information distribution - The flow of information through your organisation can also strongly influence the behaviour of employees. It will prove challenging to encourage cross departmental collaboration if information remains stuck in horizontal or vertical siloes. The feedback and appraisal process also has a substantial role to play in supporting and reinforcing the collaborative behaviours you wish to encourage; and Decision allocation - Social tools allow input into the decision making process from across the organisation. Such tools have allowed enlightened organisations to engage employees in the strategic process. There are no hard and fast rules about how many of these levers you need to use, but they should provide you with an understanding of how you can begin to craft an organisation that encourages social and collaborative behaviours. References 1. See http://press.experian.com/United-States/ Press-Release/experian-marketing-services- reveals-27-percent-of-time-spent-online-is-onsocial- networking. aspx?&p=1. 2. See www.mckinsey.com/insights/high_tech_ telecoms_internet/the_social_economy. 3. See www.zdnet.com/blog/hinchcliffe/ enterprise-2-0-a-bright-spot-for-softwarein- 2012/2150. 4. See www.gartner.com/newsroom/id/2319215. 5. Surowiecki, J., Wisdom of Crowds, Anchor, 2005. 6. See http://papers.ssrn.com/sol3/papers. cfm?abstract_id=2014032. 7. Botsman, R. What's Mine Is Yours: The Rise of Collaborative Consumption, Harper Business, 2010. 8. See www.booz.com/media/file/BoozCo_ Cultures-Role-in-Enabling-Organizational- Change.pdf.